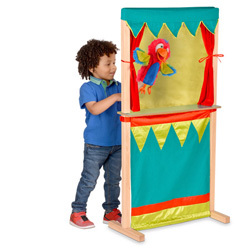 1 Carry-case Finger Puppet Theatre (T-2749) was added to your basket. 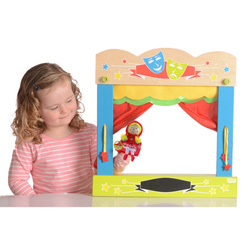 A puppet theatre (or theater!) is wonderful toy that brings joy to children of all ages and their audiences. 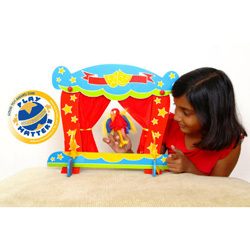 Children love to entertain and Fiesta Crafts hand and finger puppet theatres lets them captivate and enthral their audience with retelling of the classic stories or their own inspired creations. Our wood and fabric theatres are delighting audiences around the world. Also see our Hand Puppets and finger puppets to make the show sparkle!